The healthcare industry in India is at a very important juncture. It is poised on the brink of a transformation, as it adopts new approaches, including technology, to help consumers manage their health in a better manner. Preventive healthcare is becoming an area of focus in most countries, and India is no different. Due to hectic schedules and lifestyle choices, healthcare takes a backseat for many people. This results in the development of conditions that can be debilitating if not fatal unless they are monitored in a timely manner. Stressful and unhealthy lifestyles have led to a significant increase in the incidence of diseases like hypertension and diabetes. According to the Cardiology Society of India, one-third of adult Indians suffer from hypertension, and two-thirds of that number don't even know it, making the disorder the single biggest silent killer in India according to the Cardiology Society of India, one-third of adult Indians suffer from hypertension, and two-thirds of that number don't even know it. Given how skewed the doctor-patient ratio is in India, taking care of one's health becomes even more important. This is where preventive care becomes relevant. The last decade has seen a rising adoption of home-monitoring devices for ease and convenience as opposed to regular visits to doctors or path labs. Preventive healthcare has helped consumers in making consistent choices and taking positive action on health, diet, and lifestyle in order to stay fit. These actions not only give the body a fair shot at staying healthy but also help control existing problems at an early stage. 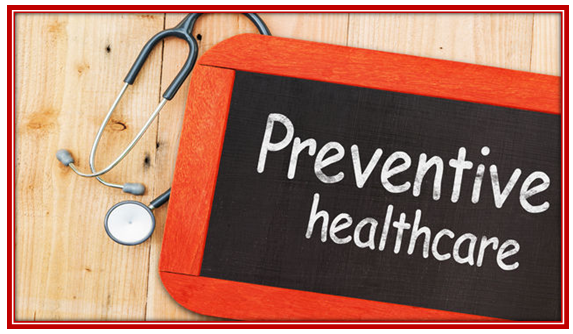 With the increasing incidence of cardiac diseases, hypertension and diabetes at a much younger age, people are grasping the need to take charge of their health and, over the last few years, have been increasingly adopting preventive monitoring as an effective tool. This is not only because they are more health-conscious, but also because the health infrastructure is lacking - the paucity of adequate medical facilities across cities is propelling the adoption of home monitoring devices. Adopting preventive care techniques like home monitoring allows patients to keep a close eye on their health and ensuring that symptoms do not go out of control. Adopting preventive care techniques like home monitoring allows patients to keep a close eye on their health and ensure that symptoms do not go out of control. By careful monitoring, healthcare providers and doctors can also take necessary measures to reduce the chances of a health catastrophe. As consumers continue to gain more awareness and access to healthcare information over the internet or via alternate mediums, the chances of increasing life expectancy will also improve. India has an unprecedented opportunity to become a healthy nation with the ability to take the right preventive steps.